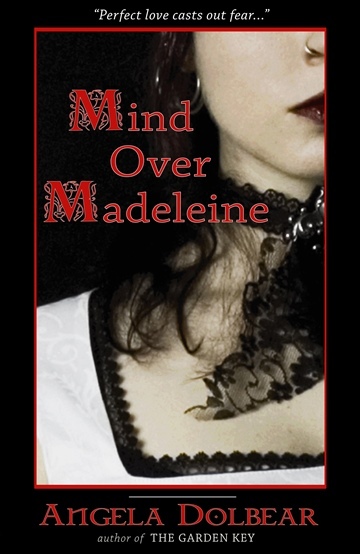 The mind of Madeleine is filled with fear. Fear of not being a good enough wife to Peter, her beloved gorgeous professional musician husband of less than one year. She is consumed with the fear of not being pretty enough for him, and the fear of another woman taking her place, particularly by one of the super model-esque groupies who hang around the band. Maddy navigates life on tour with Peter’s successful band with humor, faith and prayer, but inside she is shaking in her black and white creepers. When Peter is called away to record in Nashville, thousands of miles away from their cozy modest home in Southern California, Maddy’s fears begin to morph into loneliness. A sentiment she shares with her purple-haired dear friend, Lydia, whose husband, Caleb, is the band’s drummer, and who has joined Peter in Nashville to lend his talents to the project. While Peter is away, the opportunity to fulfill one of her greatest dreams—to write and publish a book—falls into her lap. But Maddy’s fear and loneliness leave her open to travel down a road she never imagined she would take, and trick her into justifying her surrender to temptation. Will Maddy survive this adventure and come away with her life intact? Will she be able to survive the unimaginable event that could take Peter, the love her life, away from her forever? for this amazing young couple! I believe this book is a good read for anyone!